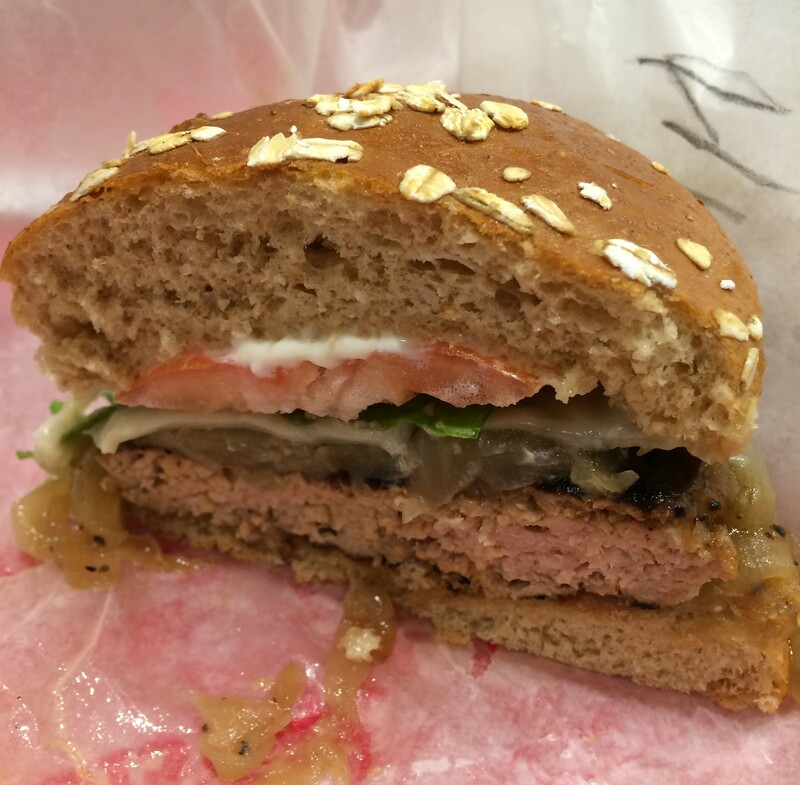 The Good Stuff eatery down in the Loop is another one of those spots that you really should keep on your burger munching circuit. I sometimes feel that it is a bit overlooked as it is kind of hidden away in the shadow of the elevated railway one street away from the hustle and bustle of State Street. 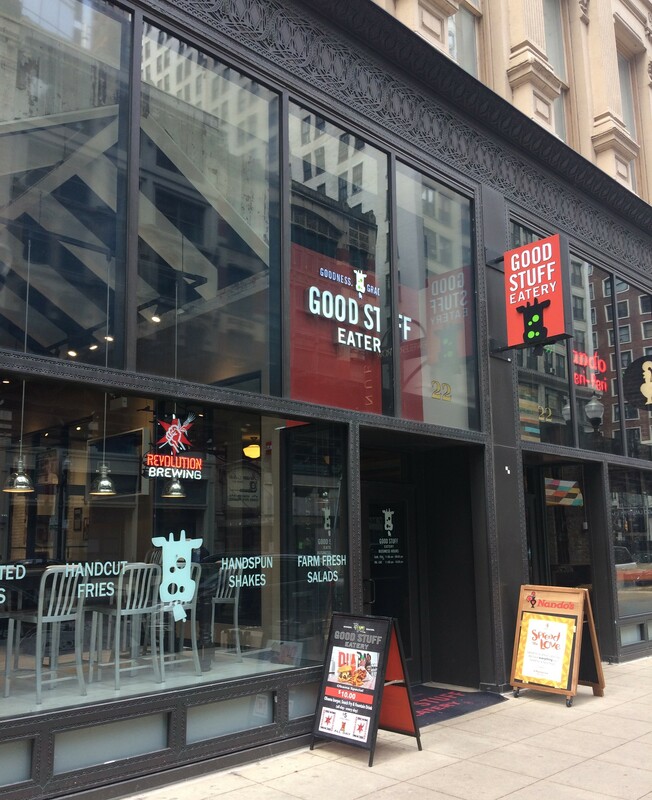 I have been here before back in 2015 not long after it opened when I sampled one of their awesome Prez Obama Burgers (read more here “Good Stuff Eatery comes to the Loop in Chicago”). This time I was focussed on the sandwich celebrating our last but not least First Lady Michelle Obama. I was I suppose collecting the set to complete the collection as it was. Just like her husband, Michelle has her own special at the Good Stuff Eatery in Chicago called the “Michelle Melt”. It is kind of a little bit healthier, however it is still one quite delicious beast in it’s own right. I liked this sandwich a lot! I was worried that the Turkey might be dry, but it was not, it was juicy and tasted much lighter that a solid beef patty. The Caramelized onions were perfect in my mind, verging on amazing, the blank canvas of the turkey was an excellent partner that blended together with that Garden mayo featuring parsley, cilantro, garlic, lemon, dill, rosemary and thyme. If you want to, you can find recipes for both the Turkey Burger (on ABC network) and for the Garden Mayo (on the Rachel Ray show) online. 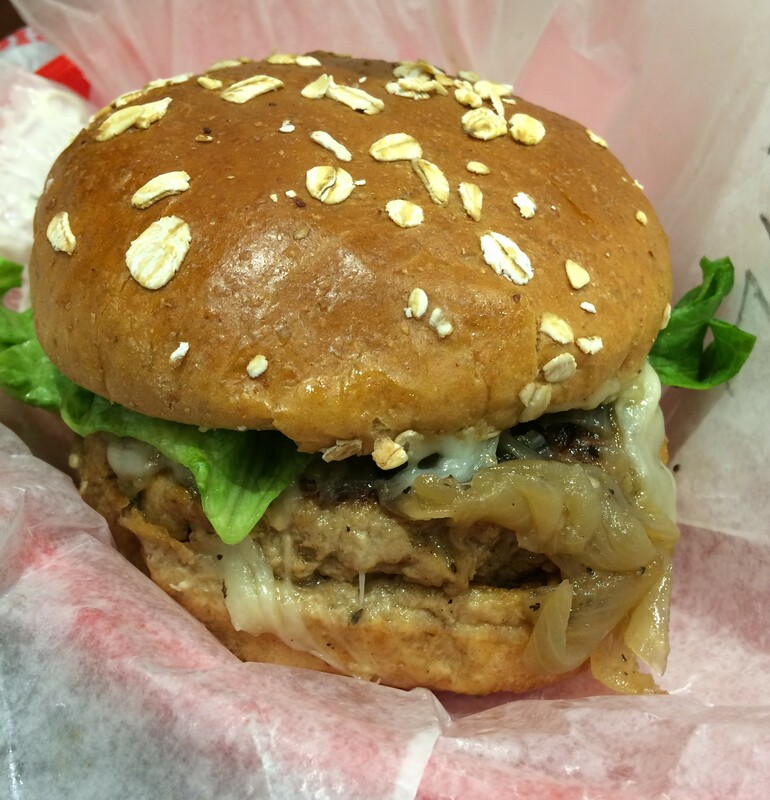 That was a great find as I always had wondered how to make a decent Turkey burger! I know this was a bit greedy, but I really had to try the Nashville Hot Chicken sandwich that they had recently added to the menu. They bill it as “Fried Chicken Breast, Ted’s Bread and Butter Pickles on a Brioche Bun, drizzled with spicy pepper oil” but despite all of those spicy sounding things, I didn’t find it to be that hot. 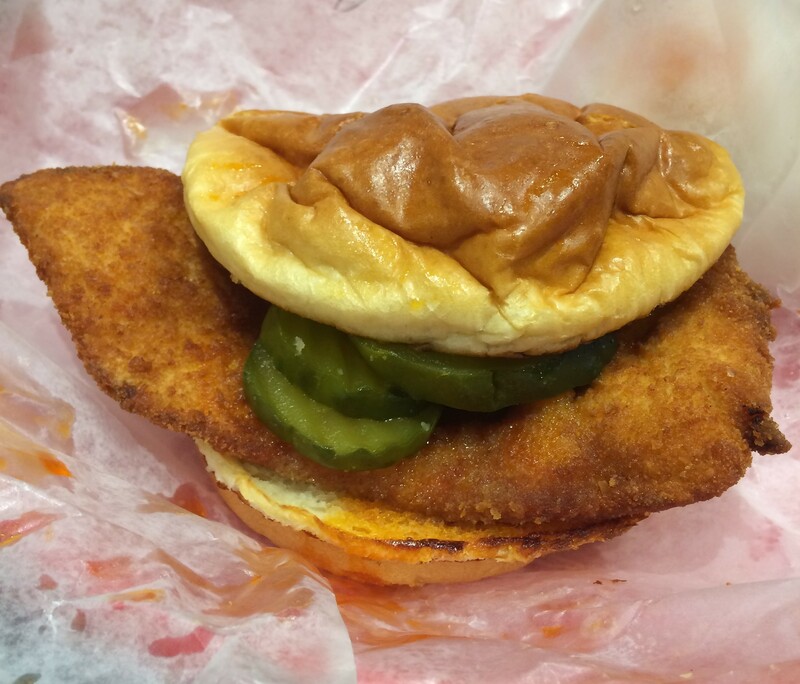 True Nashville Hot Chicken will burn your face off, this was just a spicy chicken sandwich. In some ways that was quite a good thing as it is nice to be able to actually eat the sandwich, as opposed to feeling like a competitor in spicy food challenge. I like it a lot and not just because I am a fan of Top Chef Alumni Spike Mendelsohn!